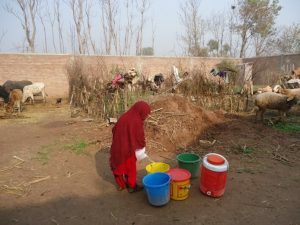 Nowshera, Pakistan, 13 December 2012 – “when the shelling started, we than believed that the fighting has been started and we quickly evacuated our homes for safety” says Muhammad Ayub 46 years old, the uncertainty in her eyes were clearly visible. 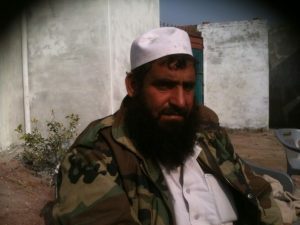 Ayub’s family was forced to flee from their village, Tabai Bazar, to his relative’s home in District Nowshera, following scaling up of security operations in their areas. More than 77,000 people were forced to leave their houses as a result of the conflict in January last year, when fighting between government forces and militants engulfed, Displacements mainly occurred from Bara tehsil in Khyber Agency, IDPs arrived in the districts of Peshawar, Nowshera and Kohat in KP. Displaced families come across difficult times due to the lack of local resources, unavailability of basic amenities and services and the resultant burden on host communities created a myriad of long-term issues in addition to the immediate emergency. Zulaikha, 7 years old, younger daughter of Ayub was mainly responsible for fetching water for daily usage “whenever I start playing with other girls my mother send me to bring water, it took me 30 minutes to walk by foot and to reach the source” says Zulikha, A 2nd grade student at the school as her voice trembled while carrying the pot filled with water for her family. Like everyone in the community, Zulaikha is entitled to fetch water from the hand pump installed near to her house for her family to use. She fills one 10 liter jerry can full of water provided by PADO, lifts it with her hand and walks slowly but confidently towards her home. Getting clean drinking water to hosting areas is particularly important for the safety of children like Zulaikha who traditionally collect water for their households. Previously, Zuliakha had to walk several kilometers everyday to find water. But now they can fetch’ water from the Hand Pump installed near to their house. 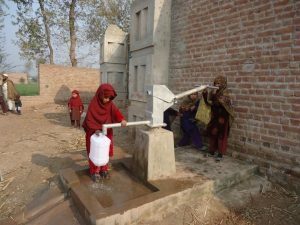 With the installation of hand pump near to Khyber IDPs houses, they have now enough water to drink, bathe in and wash their pots and pans with, and knowing that the water in the hand pump is clean is a great relief to Khyber IDPs. 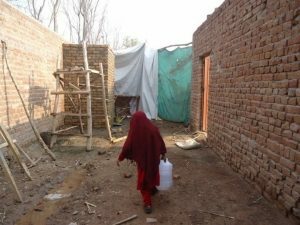 PADO’ ERF funded project will ensure that 7,000 Khyber IDPs get access to clean water and latrines will be constructed for 1,000 families. The project will help IDPs in hosting union councils of district Nowshera.